The 2018 Honda HR-V is a subcompact crossover SUV with a long list of technology features throughout the trim levels that bolster comfort, convenience, and safety. 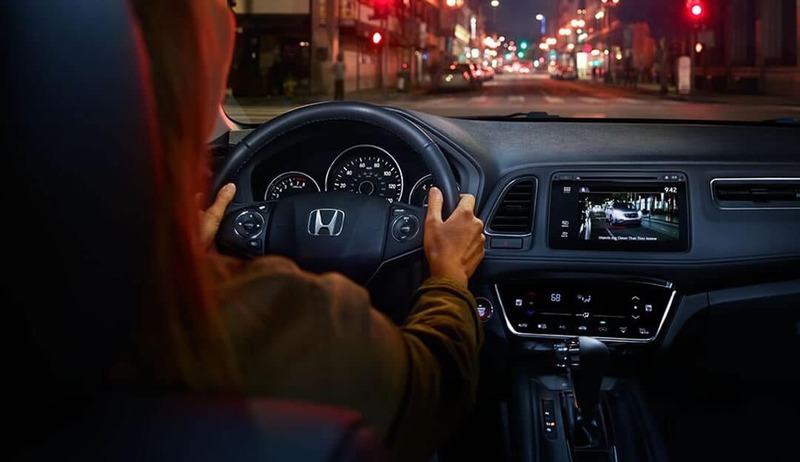 For Central Illinois drivers, no matter which of the three trim levels is right for you, the Honda HR-V’s technology features can make any journey on the road much better. And as one of Honda’s four models that offer AWD, it’s a great option for Illinois drivers who need to be ready to tackle all four seasons. Cruise Control – Select your desired speed on the road and cruise control does the rest without any more input from the driver. 12-Volt Power Outlet – Charge up your devices with the convenience of power outlets at your fingertips. Rear-Window Defroster – See clearly through the rear window, no matter the weather or temperature outside. Illuminated Steering Wheel –Mounted Controls – Control the audio, temperature, and more without having to take your hands off the wheel. The LX also has an impressive array of audio and connectivity features so everyone inside can stay entertained and connected while on the road, no matter how long the journey. 160-Watt Audio System with 4 Speakers – With crystal-clear sound, this system lets you crank up your favorite song, album, or podcast. 5-Inch Color LCD Screen – Have the controls right at your fingertips and intuitively navigate through audio, temperature, and other settings. MP3/ Auxiliary Input Jack – Hook up MP3 players or other devices to gain access to your favorite content. 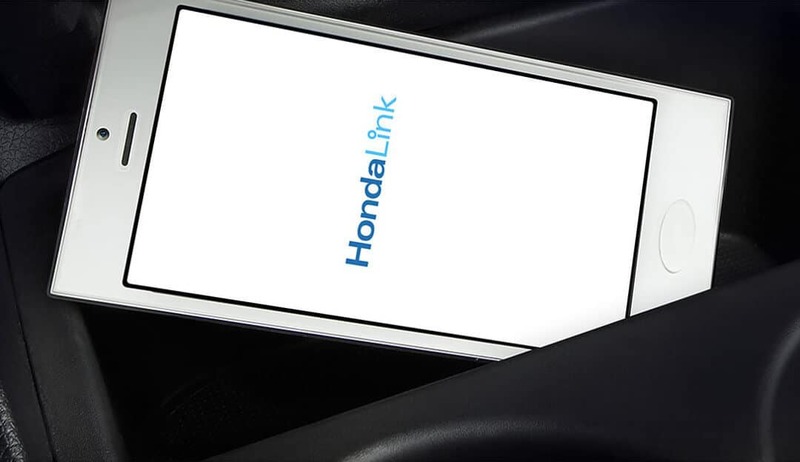 Bluetooth HandsFreeLink and Streaming Audio – Sync up your devices via Bluetooth without having to take your hands off the wheel. Speed-Sensitive Volume Control – When the HR-V slows down, as in a merging situation, the audio volume will automatically soften so drivers can concentrate. The LX can help drivers drive better and safer on the road with features that use state-of-the-art technology to enhance safety behind the wheel. The next model above the entry-level LX is the EX model, which adds more technology and upgrades some of the equipment found on the LX. Car and Driver says that the “HR-V’s mid-level EX trim represents the best value” thanks in part to its feature and equipment list at a still-affordable price. 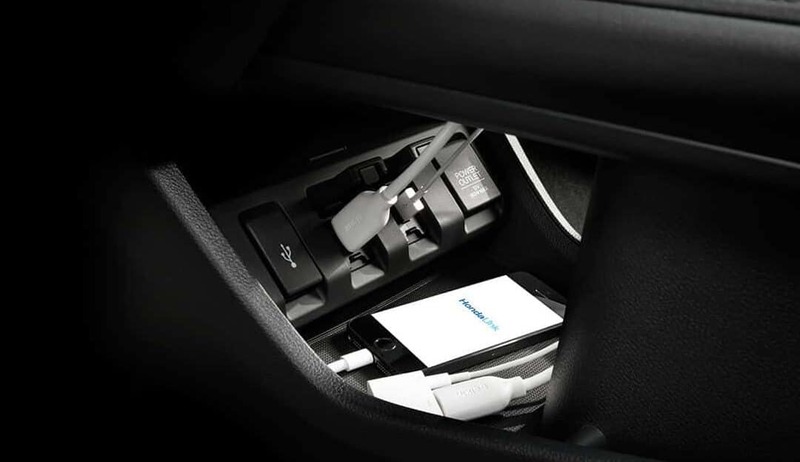 Smart Entry – Gain access to the HR-V fast without having to rummage for your keys in your pockets or bags. Automatic Climate Control with Electronic Touchscreen – Make the HR-V the most comfortable temperature for everyone inside. Honda LaneWatch – A camera mounted on the passenger-side mirror allows drivers to see up to four times more in their blind spot than using the mirrors alone. 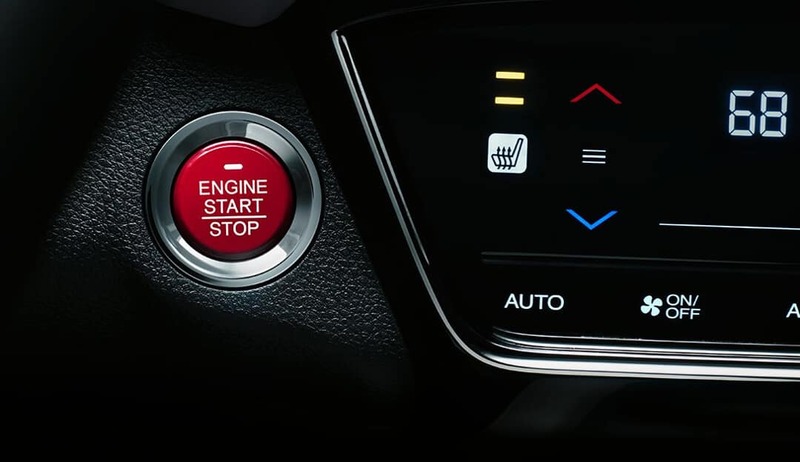 Push-Button Start – Leave your keys in your pocket or bag and start the engine of the HR-V with the simple touch of a button. Multi-Angle Rearview Camera with Dynamic Guidelines – Back in and out of tight spaces much more easily with dynamic guidelines to direct you. The EX also adds more audio and connectivity features. With a better sound system, a larger touchscreen interface, and more, the EX takes a sophisticated approach to technology equipment inside. Find out more information on the 2018 Honda HR-V and its collection of technology features by visiting your nearest Central Illinois Honda Dealer. Explore current offers and financing options, and contact us for a test drive today.